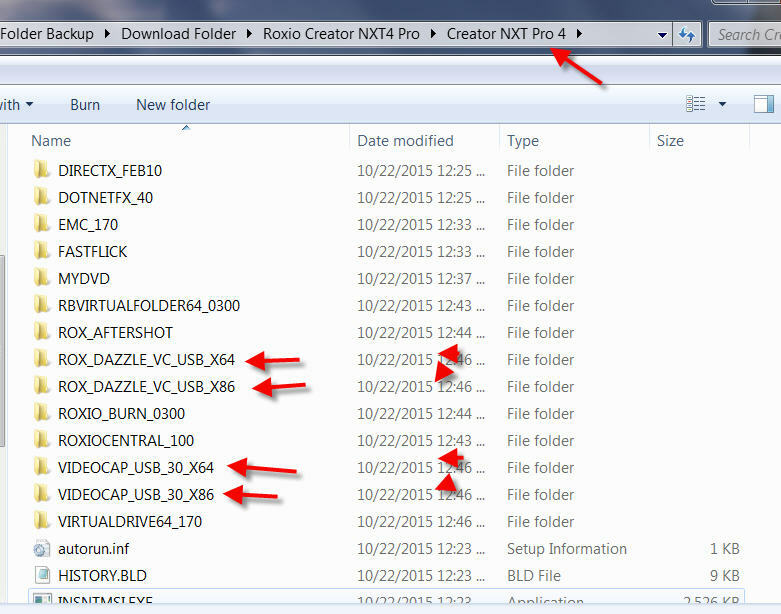 I had a Roxio creator 2009 and also Roxio capture USB and upgrade to Roxio NXT4 in December. I have been use the old 2009 software capture DVD and also LD and save to my hard drive, works very good never has problem,. but the new software I load to my window 10- 64 bits computer, did not work well at all , the composite Video capture has different speed, and the sound are crack, and the video signal are most of the part are missing . any one may able to help fix this problem. I've used the USB Video Capture with NTX2 Pro and all worked well on 21 May 2015 until I made the mistake of upgrade to NTX 4 Pro in December 2015. The previous version would hang a 64bit 8GB memory Windows 8 System randomly for about 10 minutes, but it worked! There was, and is apparently a mistake in believing that Roxio programs well, as they used to do in the past and Test their Software in advance, also the mistaken thought that the update would improve the situation. Now the USB Video Capture is completely dysfunctional. The USB Driver isn't recognized. YES I've reloaded the existing version from 2009 that the “Support” web site has available and so much for that. Perhaps I need to set last known working version to WindowsXP. This would match the date. The previous and present experience is showing that ROXIO is a smoke and mirrors operation that actually hides it's "support" so nothing is available to Customers that won't pay by the second. Not even Microsoft accomplishes this feat. I would appreciate a driver that works and doesn't crap on itself with every update. DSid you guys get the Windows 10 update to EASY...? It is on this page. I don;t know if the drivers are updated for NXT 4 Capture. When You installed NXT 4 did you agree to download/install the patches/updates? I'm still running Windows8 Enterprise, Update to Windows10 is a pain... I have to wipe the System and redo it. When NTX4 Pro was installed all patches were accepted and no communication with the Roxio Server is available at Registration. It appears with NTX4 the Drivers were just left out and the Support Downloads offers nothing, which is slowly not new. There is no update on that page for anyone running NXT 4! The only chaos I see is someone trying to apply C2010 software update on NXT 4 software! I thought that maybe the update to Easy VHS to DVD 3 had an update to the drivers. My comment was to Boby, not MrHere. See what happens when you threadjack someone else's thread. Things get confusion ! update on his W-10 X 64 with NXT4? I hope it said software not found! Excuse my ignorance. I'm nothing but a Software Solutions Architect and Test Software for a living. The actual Installation Process should be debugged. First the Detection Requirements need to be checked as they are done and if not met Roll-back. The Rollback doesn't take place and the Digital install droppings are left behind. If a functional Driver is on a System, it should be left behind. The available driver states that the same version is installed, will be removed at installation. No debug files, so no idea what the install script did. In normal situations remove software, reboot and continue install. The 10 minute wait on NTX2 is in my opinion caused by the x86 libraries that are having Memory allocation problems with the 8GB installed memory. Wait long enough it goes away but returns randomly in the form of a spinning circle "please wait" . Wasn't my job to find a reproducible situation? 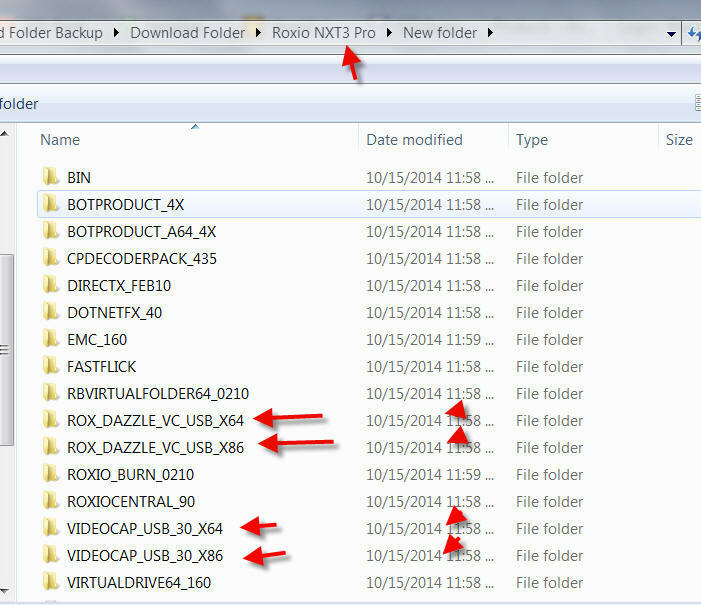 That the Drivers for the USB Roxio capture device aren't recognized in the new NTX4 Pro software is a hit. The joke is the drivers are available (C:\Program Files (x86)\Roxio), and appear to be defective and not recognized by Windows as available. 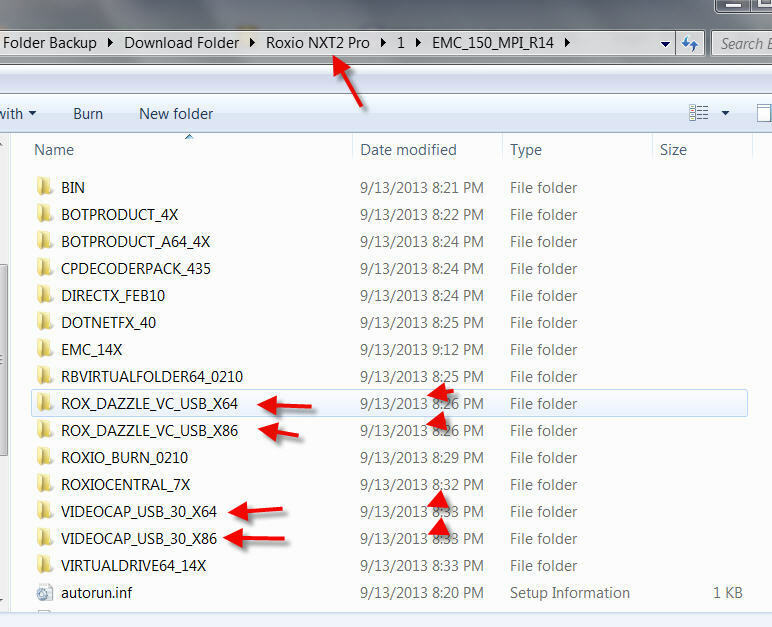 Can someone explain where a x64 or x86 Driver for the Roxio USB Capture is located, that works with the NTX4 ? Did you read Post #3? A strange request from a Software Solutions Architect! Why, a Software Solutions Architect should know more than us users here! I'm not sure Windows 8 Enterprise is a compatible operating system for NXT 2? I'll show you but I won't guarantee your device will work with NXT4 drivers! Not my job to debug Roxio software. Support is an assumption that appearently exist. 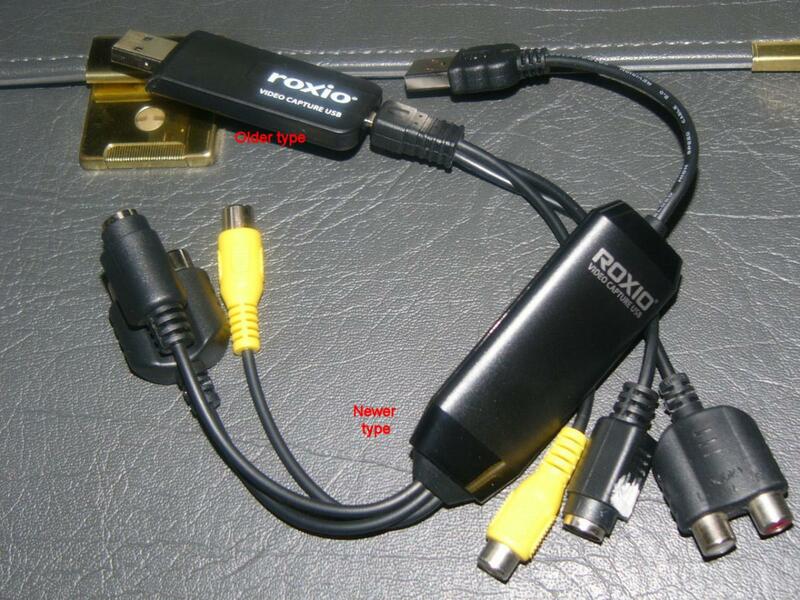 I ordered the NTX2 software because the Roxio Video Capture USB was a give-away item. The first impression from Roxio was being presented with an Answer that I should download the USB device and software from the Internet...?? I tried contacting Scotty but he was on Vacation so I wrote to the CEO. The effect of this was, the USB device was immediately beamed to me from LA. A few weeks later one came from London. Now I have two different Hardware revisions. Thank you Transporter room. The intersting part of this is, The Video Capture HU3192-E I used with NTX2 doesn't work with NTX4. I just swapped to the other Video Capture USB UB315-E ver.3 and the Drivers immediately loaded. NTX4 Roxio Media Import accepted the Device and was opeartional. This is a good indicator in the direction of the problem. Again, It's a Roxio Problem, not mine. For giggles and grins I'll download Windows2016 from MSDN and try NTX4 on that. If NTX4 is halfway correctly programmed, the Backwards compatibility Mode should work. My initial thought is if the software is tested? I'd love to see the Test cases and setup scenarios, along with intensity of Hardening used. If I was to debug this, I'd say the NTX2 deinstallation leaves Data droppings in the registry. The new NTX4 Install can't use this and refuses to Install the Drivers, because it is the opinion they are installed. The other option is Hardware revision recognition and the Drivers, if new are faulty. I'd deinstall the Software, check the Registry for the Data Droppings [search for Roxio, Data Capture and other such criteria]. Delete the data Droppings and reinstall NTX4. I'll get back with you after I find interest in Updating to Windows10. Check you Updates there is a completly new Build available on the Update Server. It is installed using the std. MS Update. Bring lots of Coffee, the update is a complete OS Exchange and is huge. Support for the discontinued HU3192-E was dropped with NXT2 or 3... Enough remnants remained if you upgraded the Creator Suite that the old device still worked. It STILL works with NXT4 and Win10, provided you had an older install. But then no one really expects companies to provide updates for hardware that has been discontinued otherwise my SCSI Scanner would be up and running on my Win10, right? As far as things left behind, never been an issue except in a very small number of cases... There we recommend the Revo Uninstaller in Moderate mode and it is done by the time you finish your coffee. Thanks for the update. Glad to see lights are on and someone is home. The basis for gettig the USB device to work appears to be difuse and it's a good luck if it works condition. OK, no support for the Roxio Video Capture USB is accepted from my side. I only have a few tapes to Convert so my Wife is happy. I tried the Vulcan Mind Melt with the Video Tape device, it didn't work, so what replaces the no longer supported devices for Capture? I have both Hardware versions and amazingly enough, it was the newer version HU3192-E that you show, that is refusing to work with NTX4. The old version UB315-E ver.3 is now operational. Both devices report as Roxio Video Capture USB. The Problem Boby (Post #1) I experienced in the begining. I removed the device and reseated all cables, it works fine now. In some situations the Tapes are so old you can't do much about the results. this is where I found the drivers I tried. It's good that Corel, Roxio and what ever else belongs to this company talk to each other. I accept no responsibility for the Driver or damage incurred by attempting to get a not supported device working. do you have a backup or image for quick restoration? if no, and something goes wrong, did you learn something? Now we are supposed to put up with a name calling Software Solutions Architect Smart ___! Your knowledge seems to be a stumbling block with entry level software. Roxio supplied drivers for both devices since NXT2 no "Enough remnants remained" mystery. 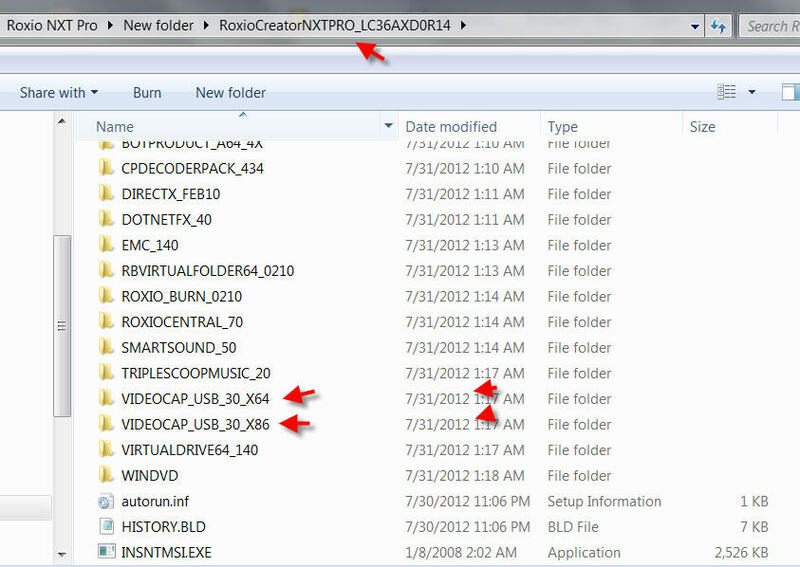 You didn't install Roxio Creation 2010 Special Edition on your W-10 installation just the USB Capture device driver? What software are you using to capture video with the Roxio USB Capture device? I use Corel Video Studio Pro X4. Once you install the driver it will accept input from the Roxio USB capture device. About all I use it for is to capture science shows off TV. 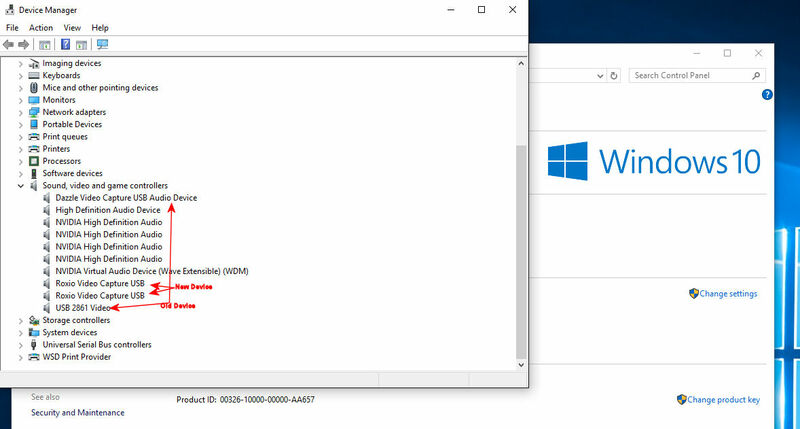 I finally did install Creator 2010 SE onto Win 10 just to see what happened. It installed without error; I also installed the SP2 update. I burned a data DVD with no problems at all. When I used the Cineplayer, the sound was fine and the video played without hanging but there was green pixilation to varying degrees on both commercial and burned DVD movies. I didn't test out anything else since I have other programs that do what Creator does. I really like the AVS suite of audio and video programs.